The "Projects" feature makes it blissfully easy to organize and share your 360 views. A Project is like a folder that stores your 360 views. You can create unlimited Projects, and just like Dropbox you can invite others to publicly or privately access your Project. Photographers will create a separate Project for each of their clients to privately access. Companies operating multiple websites organize their 360 views by having one Project for each domain. Brands create two Projects; one for the heavily customized 360 views on their website, and a second for public 360 views which are optimized for sharing with their retailers. In the upper-right corner, click "Projects". Give your new Project a name. A photography studio would name it after their client's company name. A brand wanting to share their 360 views might name it "Public 360 Views For Retailers". You can also name it after your favorite cat or dog–the possibilities are endless. Now just click on your Project's name to open it up. Enjoy! 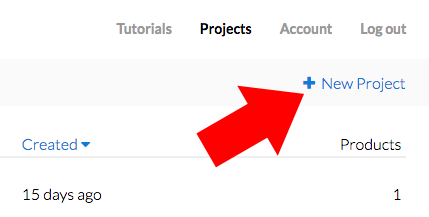 Click on the checkbox to the left of your Project's name. Type in the new name and press Enter on your keyboard–that's it! Click on your Project's name. Add the new name and press Enter to save, or Escape to cancel.